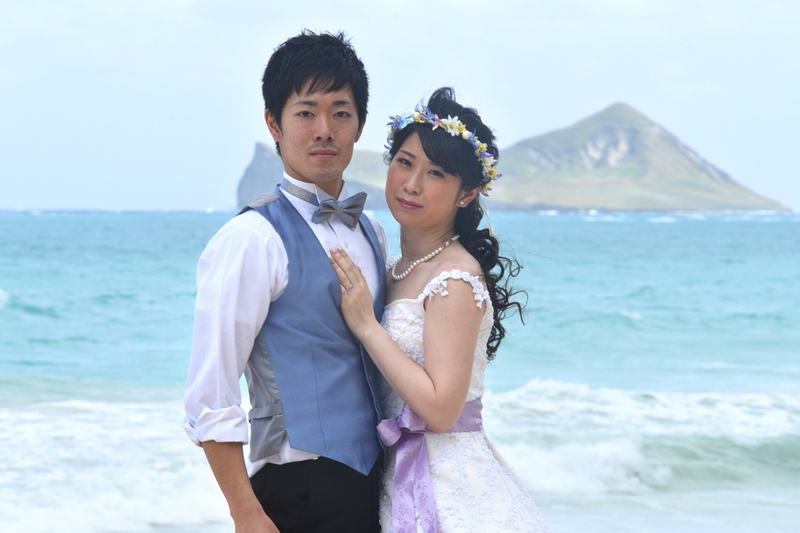 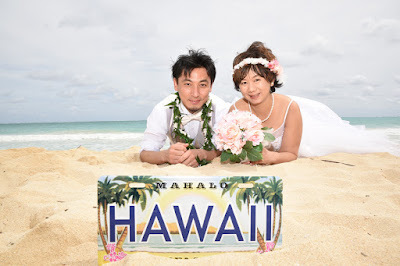 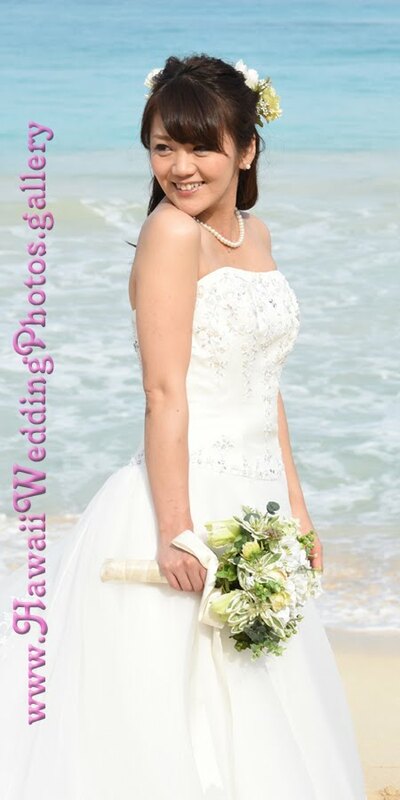 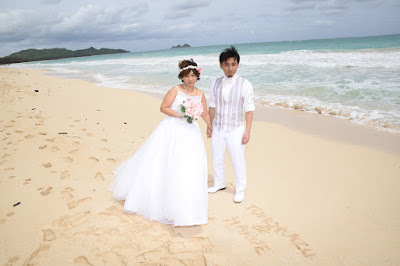 After their wedding at Plumeria Chapel, Tomokazu and Harue visit Waimanalo Beach for Hawaii wedding photos. Photographer Robert writes "Waimanalo" in the sand for Yusuke and Yuki. 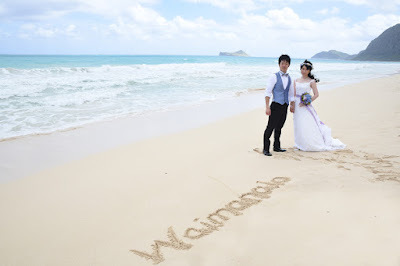 They shouldn't have any problem spelling the Hawaiian beach name anymore.